Understanding Reiki: From Self-Care to Energy Medicine provides information that answers long-standing questions, fills in the blanks where information is lacking, and lends correction where misinformation is accepted as part of the understanding and practice of Reiki today. It provides insights that are easy to understand and explain to others, once Reiki is returned to, and spoken about in the context of Energy Medicine. From this vantage point, the discussion expands, a deeper understanding of what affects human healing emerges, and the role Reiki plays in human health and self-care becomes clear. This comprehensive guide is of value to all humans, whether interested in alternative healthcare or not, because Reiki and Energy Medicine are not “alternative” practices. They are, in simple terms, what is missing in self-care today. This book is an enjoyable read that will engage and surprise the reader as it brings forward lost information that is essential in understanding human health. 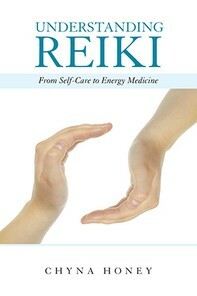 Karen is thrilled to be able to add this book to the specially selected items in her online store and strongly recommends this book to those considering a Reiki Attunement.